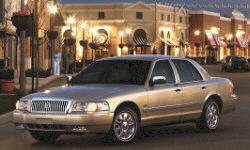 Mercury Grand Marquis Pros and Cons | Page 1 of 1 | Why Not This Car? What drives people to buy (or not buy) a certain car? 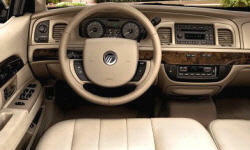 TrueDelta's members share Mercury Grand Marquis pros and cons based on their real-world driving experiences. Built with quality to satisfy the Silent Generation. The bench seats are all day comfortable. The smoothest ride you can get, apart from a Lincoln Town Car or a Lexus LS. It simply wafts over most highway imperfections. Our Third Marquis. Never had a problem. Wanted lots of room. Liked pushbutton pedals positioning, so I can move the front seat forward to increase rear seat room. Front seats are way rearward for safety otherwise.